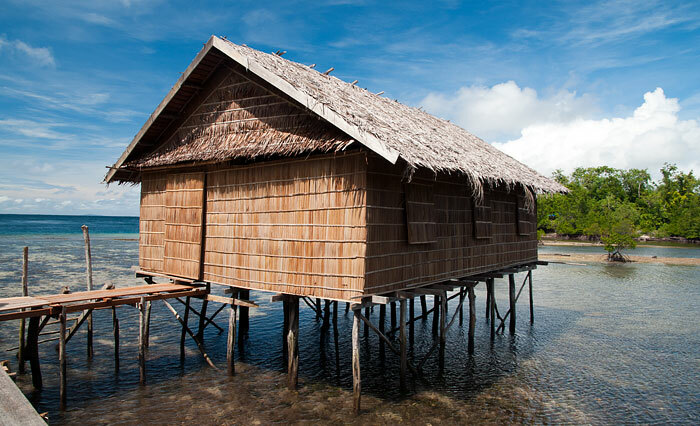 Nyanse Homestay has two over-water bungalows on the western outskirts of Gam’s Sawinggrai village. One bungalow has 3 rooms, the other 2. Both have spacious enclosed verandahs with panoramic ocean views. 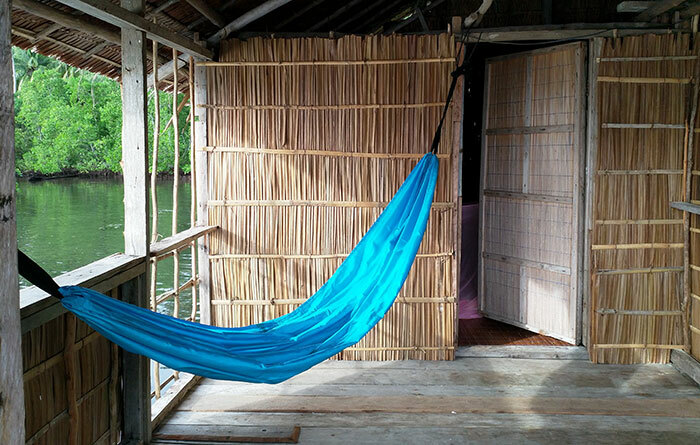 Tables, chairs and hammocks are provided. 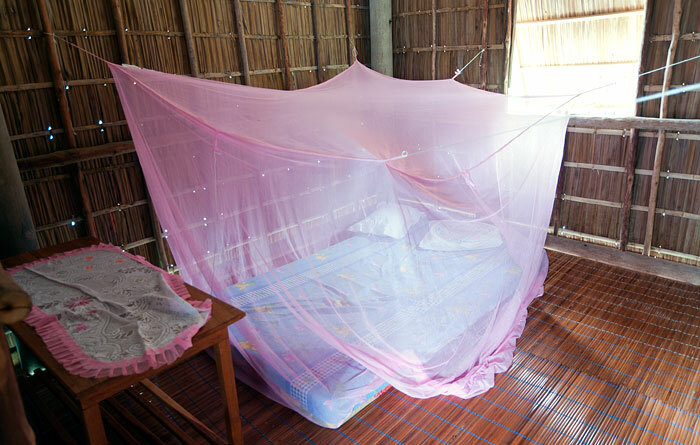 Each room is equipped with mattresses with covers, pillows and mosquito nets. A small table is also provided in each room and each room has its own light switch and power sockets. Meals are served in a dining room attached to the 3 room bungalow, and free drinking water, tea and coffee making supplies are always available to guests there. 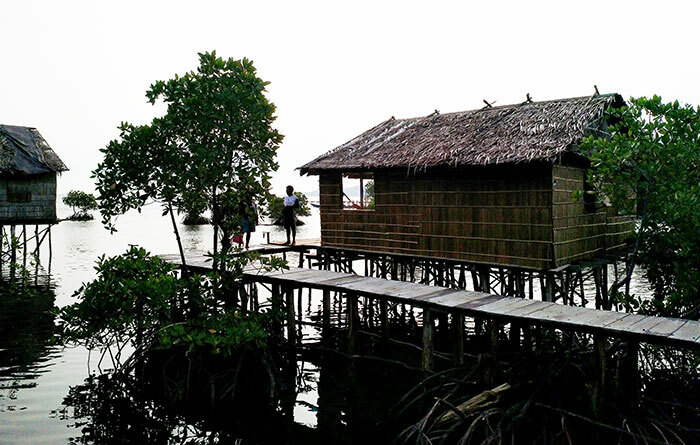 A boardwalk jetty runs beside a stand of mangroves and joins the bungalows to the shore. 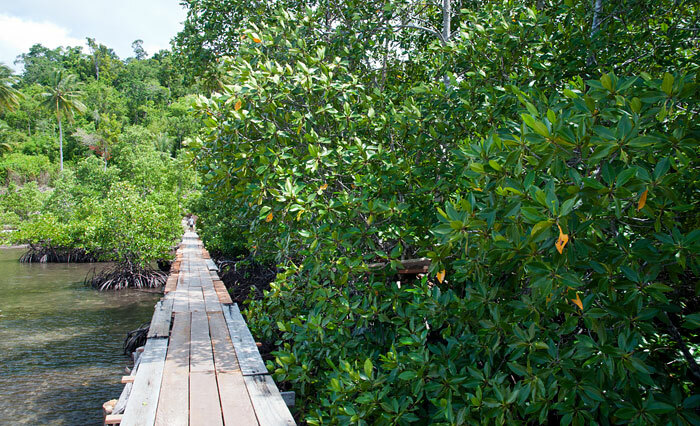 The jetty also extends out past the mangroves to near the reef dropoff, providing easy access to Nyanse’s house reef. 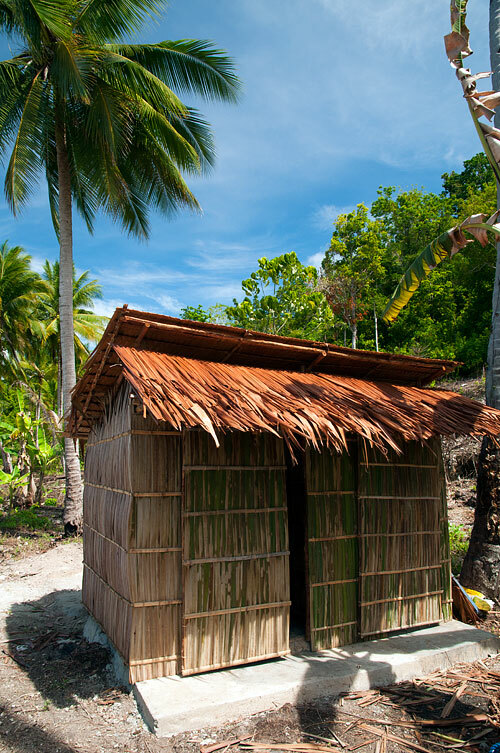 Guests share a western style toilet and dip mandi bathroom that has been built in the mangroves and is accessible from the jetty. 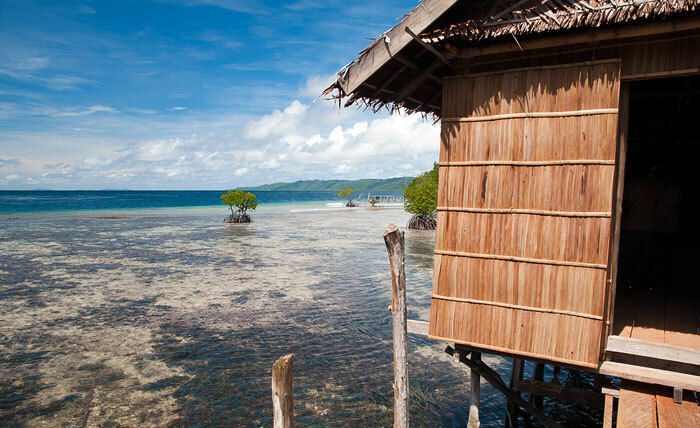 A second concrete floored bathroom with the same facilities is available on land at the end of the jetty. Electricity for lighting and equipment charging is provided by generator and a good mobile phone signal is available out at the end of the jetty. 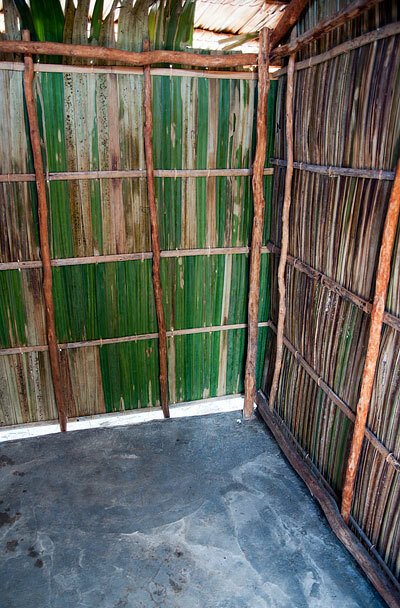 Basic supplies can be purchased in Sawinggrai, which is a five minute walk away along a well made concrete path. 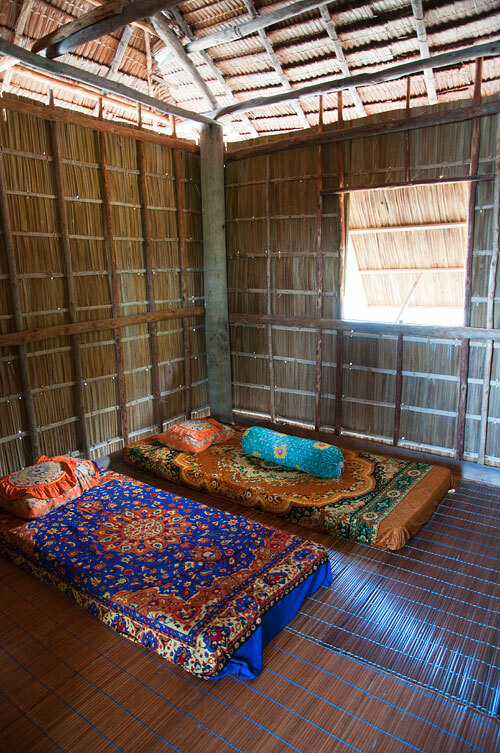 Nyanse Homestay owner Pak Dimara speaks English and lives nearby in Sawinggrai, so guests have the place to themselves most of the time. 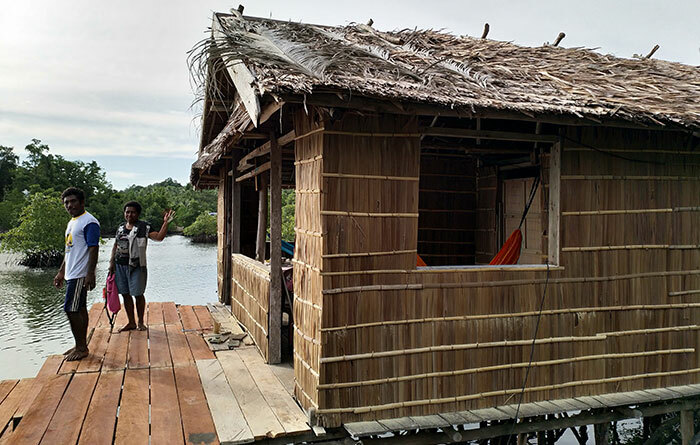 Waisai – Nyanse Homestay transfers cost IDR 500,000 each way. Transfer is by longboat that can carry 2 passengers max. 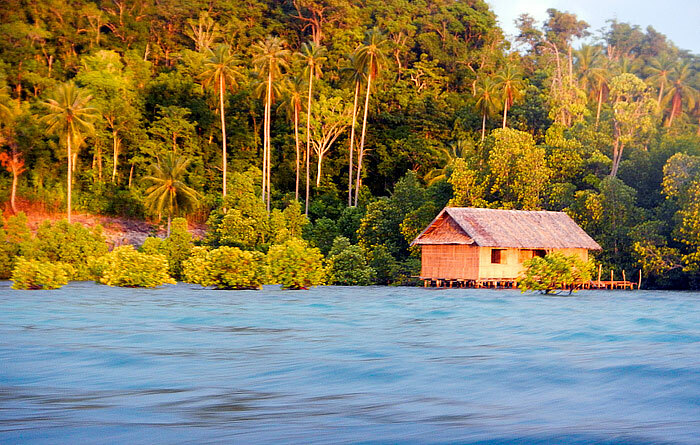 For more than two passengers a different boat is used and the trip cost is IDR 700,000 each way, shared by passengers. 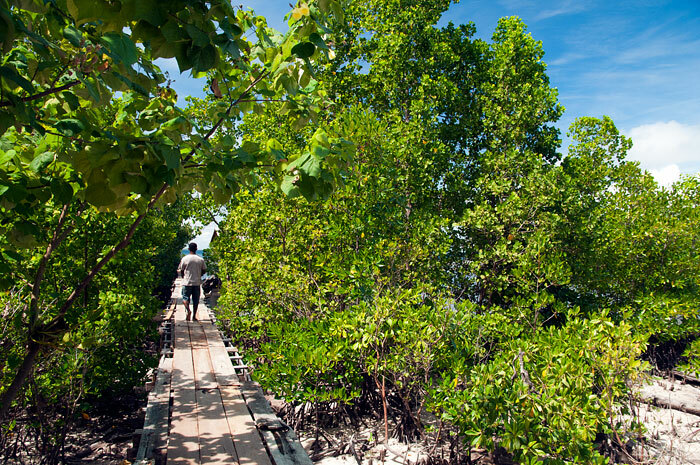 Nyanse means ‘path beside the mangroves’ which describes the homestay location perfectly. 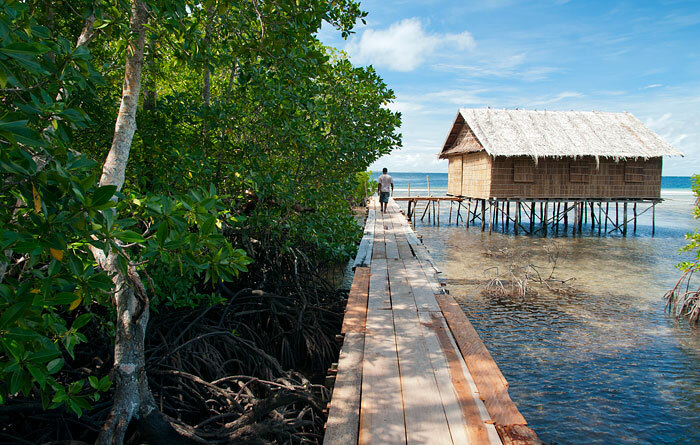 Fifty metres from shore along a boardwalk jetty, Nyanse Homestay has been built in a clear bay which is surrounded by mangroves. 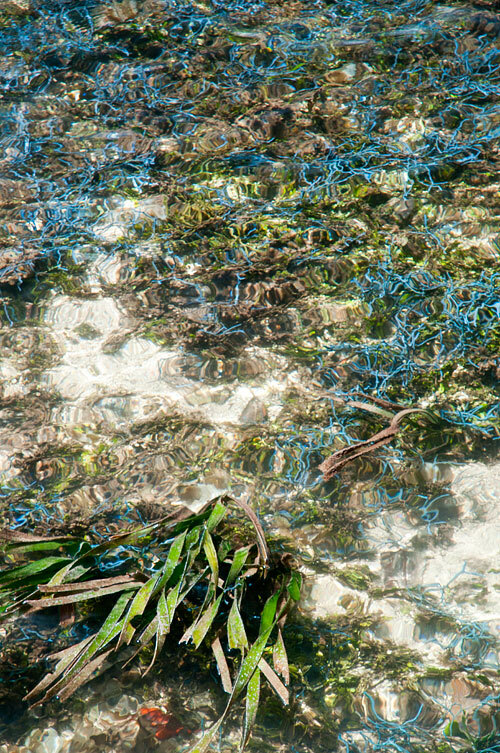 The shallow bay harbours seagrass and lots of an unusual, blue net-like coral and schools of juvenile fish. 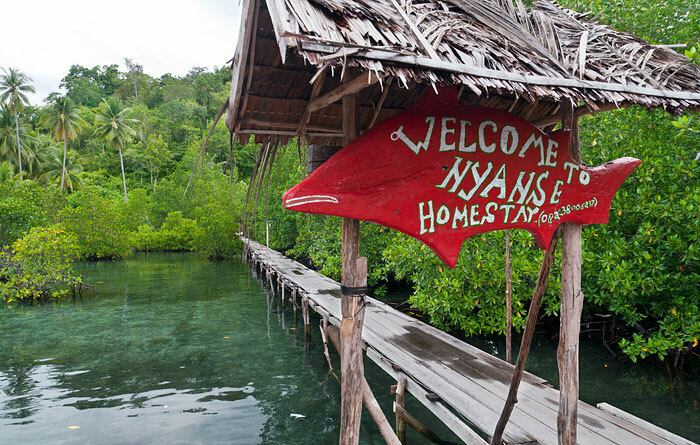 There’s no beach at Nyanse, but entry to and exit from the water is provided by steps from the homestay verandah and from the end of the jetty near the edge of the reef dropoff. 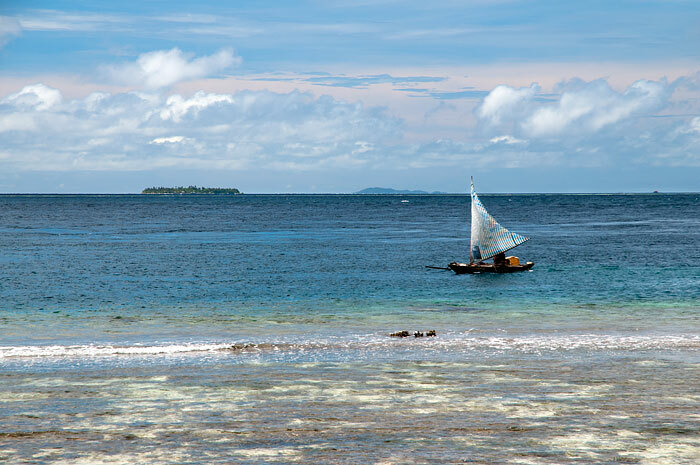 Walking sharks can be observed from the homestay verandah at night and the fringing coral reef drops into dark blue depths 30m from the homestay’s door. A nice shaded swimming beach can be found at the village of Kapisawar, an easy ten minute walk to the west. 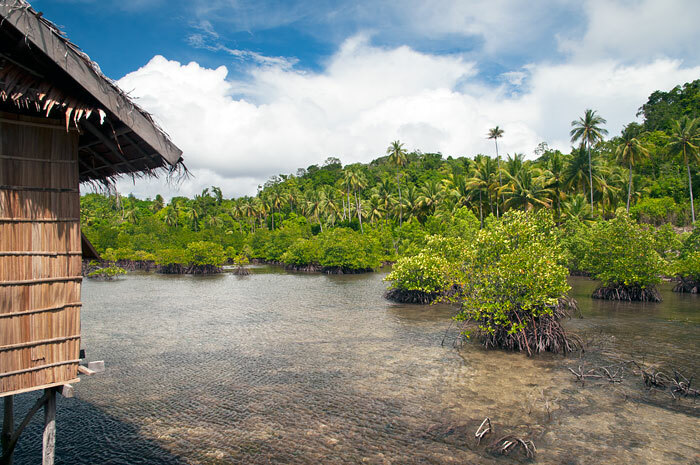 The bungalow verandahs provide panoramic ocean views toward the islands of Arborek, Fam and Penemu, and the jungle backing the shore is home to a wide variety of animals including Red Birds of Paradise, which can be seen displaying nearby at Sawinggrai. 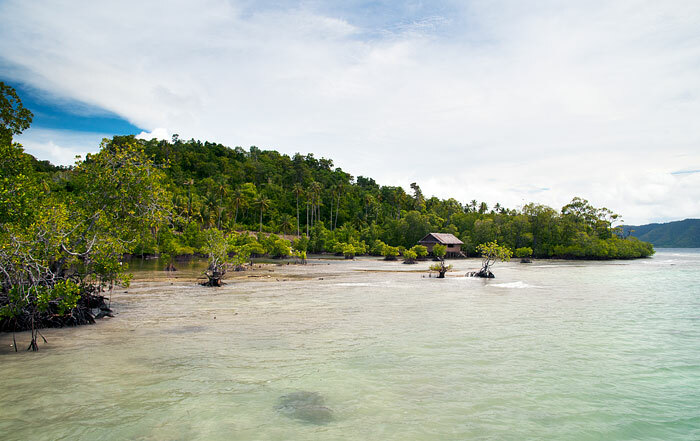 Diving is available in conjunction with the nearby Arborek Dive Shop, and 3 sets of snorkeling equipment are available for hire at IDR 150,000 per person per day. 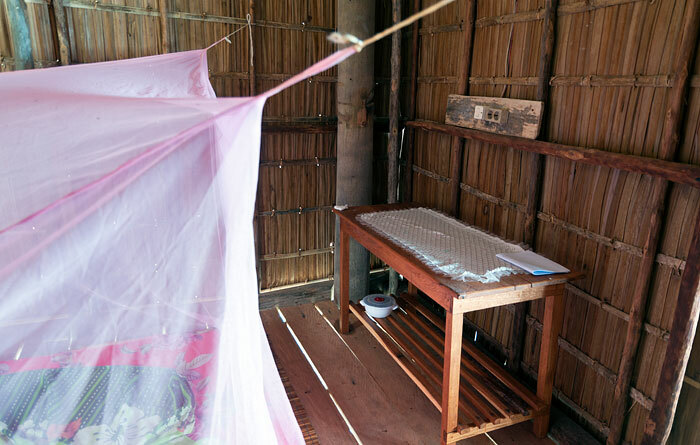 Dawn tours to see the Red Birds of Paradise displaying are available from the nearby Sawinggrai village. 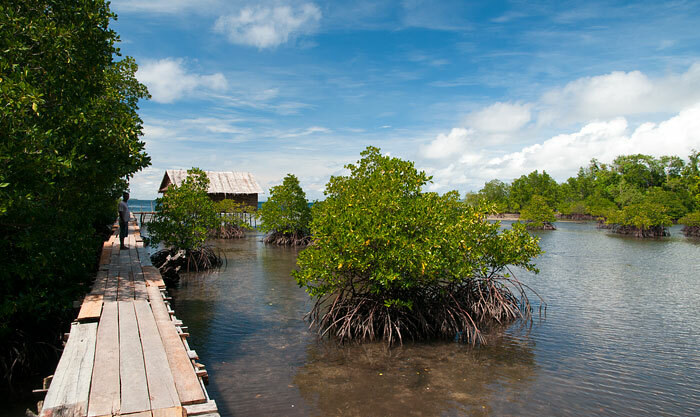 The homestay’s mangroves shelter hordes of juvenile fish and nudibranchs and archer fish and walking sharks are common inhabitants. 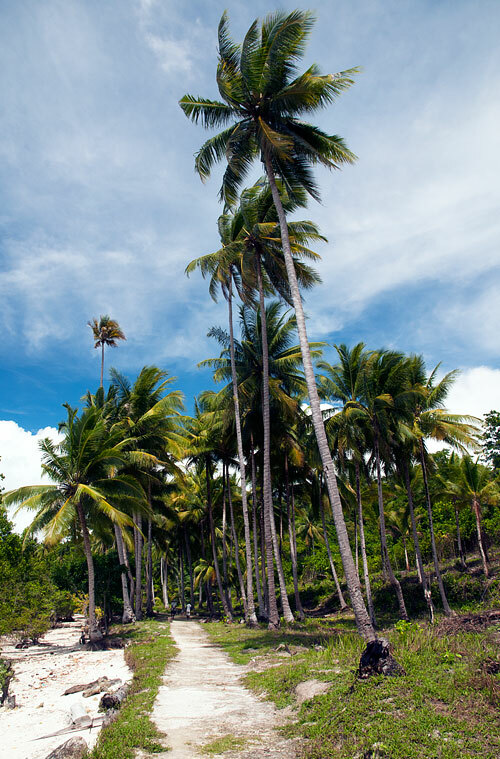 Concrete walking paths connect the village of Sawinggrai with Kapisawar and provide the opportunity for easy walking in the shade of coconut palms to experience Pulau Gam village life. Eight of us stayed over Christmas 2017. We booked early November, and paid a deposit, but the place was empty on arrival. When we eventually contacted Ferdinand he said he tried to call us but couldn’t reach us. 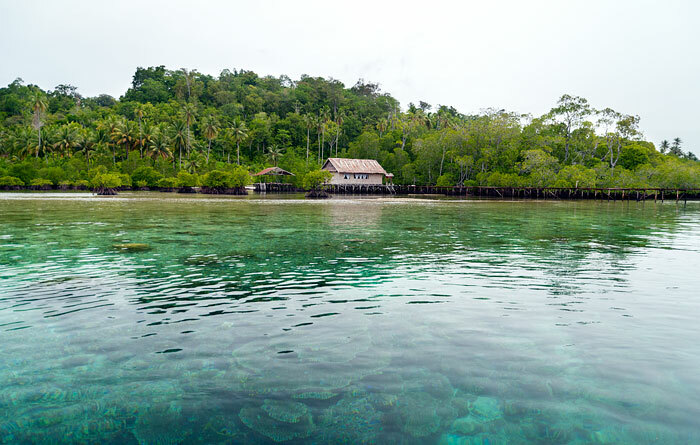 This is because we were in Raja Ampat homestays with no signals, so should not be unexpected. However he and family did work hard and fast to prepare the place which was very pleasant and we enjoyed our stay. 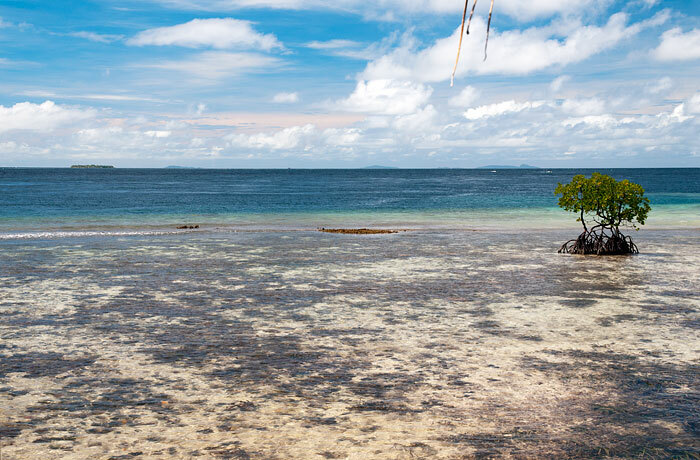 But you cannot snorkel from this place as the beach is a long, shallow way from the coral with many sea urchins and there are no steps to climb in and out from the high jetty. Such a shame. Sitting out on the jetty was beautiful in the evening. I think it needs some repair work if it is to stay standing much longer. 7 of us stayed at Nyanse Homestay for a week. 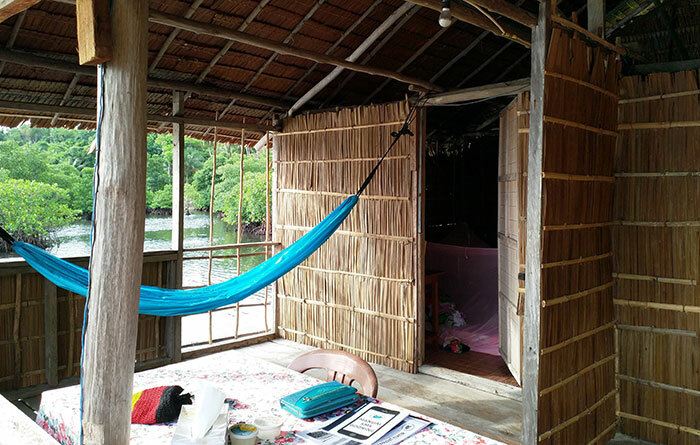 The rooms are built over a long jetty and the bathrooms are close by. 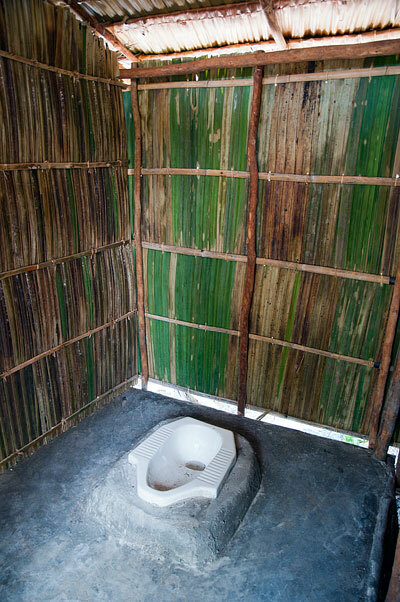 The toilet is built at the other end of the jetty on the land and a short walk away. The whole place was kept very clean by Ferdinand’s family. 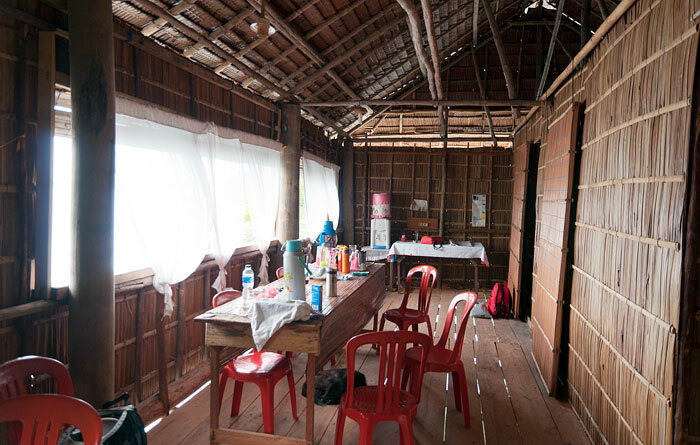 There were so much to do at the homestay and we never had a dull moment. There were corals, parrot fish, baby sharks and stingrays in the waters around the jetty. 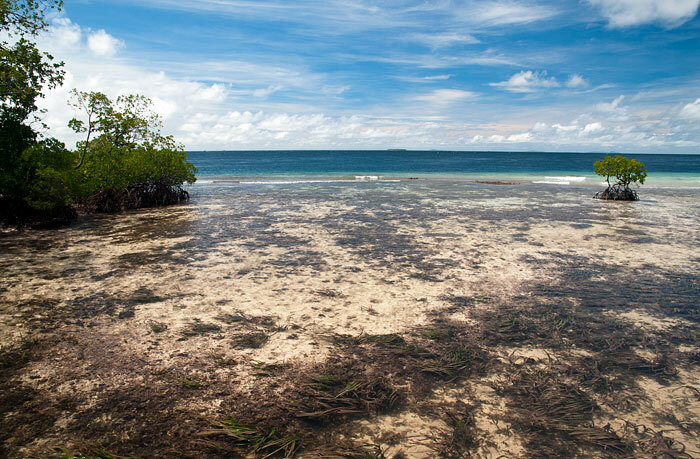 We took trips to snorkel in some of the most beautiful coral gardens. We also enjoyed the fishing trips and the highlight was grilling freshly caught fish using the portable BBQ kit we brought along. Ferdinand is a a very friendly and accommodating host. We loved the fried slices of breadfruit and buns that his family prepared for us for breakfast and tea. I stayed in Nyanse in november. The house is over water on a long jetty far away from the land (and the toilet). The light from generator is only in the house and on the jetty, not in the toilet hoouse. don’t forget your torch. The jetty is far out to the sea so you can swim also in low tide. there is quite strong current but never out to the sea. From the jetty i saw dolfins and mantas. As I travel alone, it was a bit too lonely because the woman who is taking care lives in the village and came only to bring food. But she was very friendly. The stairs to climb the jetty was broken. I told it when I arrived because it was not possible to leave the water after swimming. One hour later it was repared.